Join us on the magnificent Sydney Harbour for our End of Summer Cruise commencing at midday on Saturday 25th February 2017. 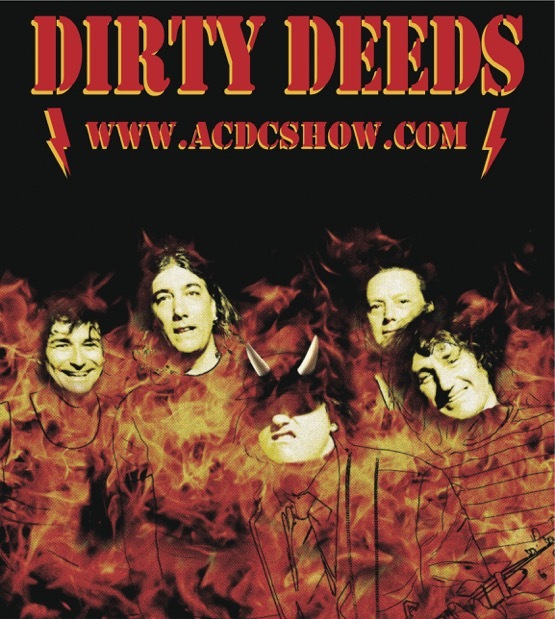 DIRTY DEEDS - The AC/DC Show are pleased to present this annual event on the best harbour in the world that has become one of the Premier shows on our event calendar with many of our fans. Finger food is included in the ticket price and will be served throughout the four hour long cruise while DIRTY DEEDS deliver two massive sets of old school Bon Scott AC/DC! There are also two fully stocked bars for drink purchases aboard the vessel owned by the Five Star rated All Occasion Cruises. The cruise will depart from Wharf 9 King Street Wharf, DARLING HARBOUR this is on the Eastern Side of Darling Harbour near the Aquarium, Wild Life Sydney Zoo and the corner of Lime and King Streets. We will board the boat at 11:45am and return at 4:00pm.